A lot of people opt for a private van lease especially now that the UK is experiencing a whole new era of financial challenges. There is a great demand for penny pinching opportunities such as a private van lease. Here is a quick comparison of purchasing a new private van and a private van lease. You will see a quick breakdown of the usual costs that are included in each option for a hypothetical van. There are a lot of things that you need to consider when you purchase a brand new van. For example, the price of a new van is at £19,705. 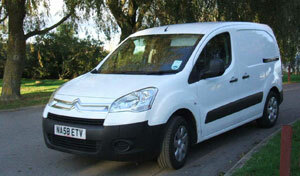 Usually, you can get a discount for up to £3,165 which brings the price of the van at £16,540. This seems to be quite a fair price for a private van. However you need to consider other fees such as road tax for the second year and the third year which is at £120 per year. If you opt for a three year payment term, you usually will have a 9.1% interest so your three year repayment comes to £18,873.36. Sale proceeds or the used trade value of an estimated £7,675 can be deducted from it. Your final cost of the brand new private van is at £11,438.36. When you opt for a private van lease, the initial payment for a similar brand new van is at £554.97. Add to that 35 monthly payments of £184.99 which brings the subtotal to £7,029.62. You still have to pay taxes amounting to around £1,230.18 which brings your total cost to £8,259.80. Note that the road tax for private van lease agreements is included in the monthly payments. Of course, it is very clear that the private van lease is the cheaper option. While this computation is based on a sample brand new van, it clearly shows that there is a big difference between purchasing a private van and having a private van lease instead. Imagine that amount of money that you can save and where you can spend that on, especially during the financially challenged times that we have now. Sometimes, people who have the cash to pay for a new van still opt for the private van lease because it is just so much cheaper altogether. It is very important to see which one is the better option. Sometimes we are blinded by the words “brand new” and do not really take into consideration that there are also other opportunities to save more money, most especially through private van lease. This is a great way to get the van that you need in order for you to go around and do errands, go on trips, plan holidays and just have a good time. Eventually, with the money that you save over the years that you have the private van lease, you might even end up purchasing the van instead of returning it to the lease company.